The median home value across the country is now $198,000, 1 percent higher than peak value hit in April 2007, according to the April Zillow Real Estate Market Reports. 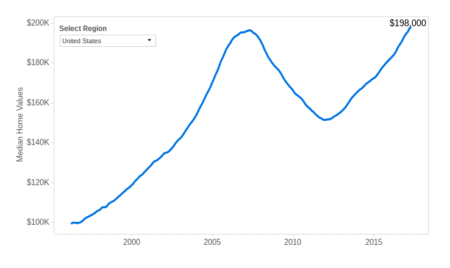 National home values have returned to peak value for the first time in over a decade. U.S. home values rose 7.3 percent over the past year to a Zillow Home Value Index (ZHVI) of $198,000. During the housing boom, home values hit a peak of $196,600. Rents rose 0.7 percent over the past year to a Zillow Rent Index (ZRI) of $1,412 per month. Rents in Seattle and Sacramento, Calif. are rising the most. There are almost 8 percent fewer homes on the market this year than last, with Minneapolis, Columbus, Ohio and Seattle reporting the greatest drop in inventory. 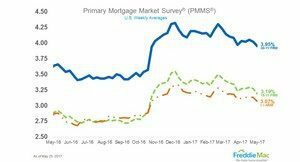 Mortgage rates on Zillow ended April at 3.83 percent, down from a high of 3.88 percent in the first few weeks of the month. The March 2017 existing-home sales numbers from the National Association of Realtors (NAR) contained some hope that maybe (maybe!) inventory was about to normalize, with sales reaching their fastest seasonally adjusted annualized growth pace since February 2007. 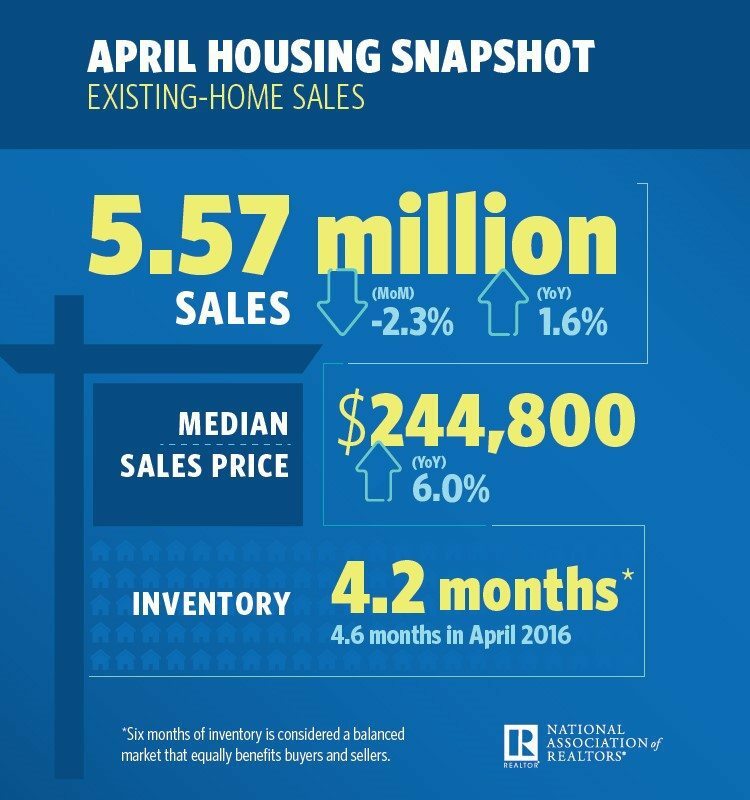 That hope was dashed with the release of NAR’s April numbers. Sales fell 2.3 percent from March’s rate, although they showed an improvement (by 1.6 percentage points) over April 2016’s sales metrics. And the median number of days that a home is on the market dropped to a new low in April — just 29 days. That’s down from 34 days in March and 39 days in April 2016; 52 percent of homes sold in April were on the market for less than a month. Potential existing-home sales decreased to a 5.69 million seasonally adjusted, annualized rate (SAAR), a 0.2 percent decline over last month’s revised data. This represents an 89.3 percent increase from the market potential low point reached in December 2008. In April, the market potential for existing-home sales fell by 0.1 percent compared with a year ago, a decline of 5,000 (SAAR) sales. Currently, potential existing-home sales is 674,000 (SAAR), or 11.8 percent below the pre-recession peak of market potential, which occurred in July 2005.